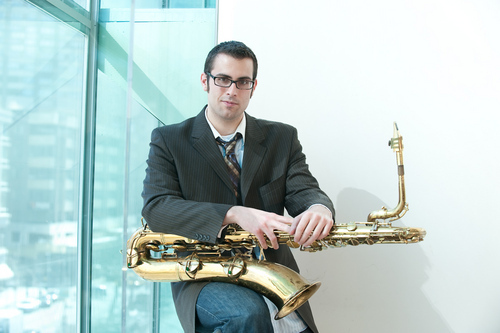 Tony Lustig leads quintet at Dizzy’s this week. Catch baritone saxophonist Tony Lustig this week (Tuesday, December 18th through Saturday December 22nd), at the late set at Dizzy’s Club in NYC. Performers to include Samora Pinderhughes, Emmet Cohen, Mike Sailors, George DeLancey, and Jimmy Macbride. Sure to be a great time, go ahead and get some live music in for the holiday season. Be sure to check out Dizzy’s club Coca Cola in NYC this weekend for some tremendous baritone line ups! Featuring Marcus Printup, trumpet; Brianna Thomas, vocals; Gary Smulyan, baritone saxophone; Jonathan Batiste, piano (Oct 5-6); Tardo Hammer, piano (Oct 7 only); Philip Kuehn, bass; Joe Saylor, drums; Paul Nedzela, baritone saxophone (Oct 5; Frank Basile, baritone saxophone (Oct 6): Tony Lustig, baritone saxophone (Oct 7). Also check out the gigs page to find out where Brad Hubbard is doing unaccompanied performances this weekend. Joy Road: The Complete Works of Pepper Adams! Historian Gary Carner has launched an epic project in dedication of Pepper Adams that includes a week of performances in New York City, a new book about Adams, the release of 2 CDs, and a digital box set. Notes: A special performance featuring Pepper Adams’ compositions. Address: 183 West 10th St.
Claire Daly west coast tour! The Claire Daly Quartet is hitting the Northwest from June 3-9th! Sponsored by Brother Thelonius Ale, the band will do a series of fundraisers. All proceeds from their ensuing CD of Monk tunes will go The Monk Institute for jazz education.